Limotek has searched all over the UK for the best limo hire operators and the finest limousines. Our UK limo operators are amazing, no job is too big or small and they always go the extra mile and ensure that wherever you are in the UK, they will offer a first class, A1 service thereby ensuring that your limo hire experience will be the best ever. Contact us to find out more about the superb limousines in your area of the UK. Limotek.co.uk along with our fantastic UK limo hire operators can provide a whole range and type of limousine. This includes H2 hummers, H3 hummers, Navigators, Excursions, Jeep limousines, Porsche Cayennes, Range Rover Sports, Range Rover Vogue limos, BMW X5s, Baby Bentley limousines, Fire Engines, stretch Lincoln limos, Party Buses and many more. Whatever stretch limousine you are after in the UK, we have it covered. Contact Limotek today and let us find that amazing stretch limousine in the UK for you. Limotek.co.uk covers limo rental in all areas of the UK, including London, Surrey, Kent, Sussex, Hampshire, Berkshire, Essex, Birmingham, Bristol, Nottingham, Midlands, North East, North West, Scotland and Wales. In fact no area of the UK has been left uncovered. This means that any of the limousines are available to hire wherever you are in the UK. Contact us today and ask us which limousine you would like to hire in the United Kingdom. You can use limousine hire UK for any occasion. You may need black hummers, white hummers or Ford Excursions for your stag party . Our pink hummer limousines, 6-wheeler pink Navigator limousines or pink limos are all fantastic for celebrating a hen night. Your wedding will be amazing with the additional of our beautiful Baby Bentley limousines and the more adventurous of you could try the Lambo Bentley with its distinctive Lamborghini style doors. Fire Engines and Porsche Cayenne limousines are both a great way to celebrate a birthday, particularly if given as a surprise birthday gift. You can use a black stretch Lincoln limo or even a BMW X5 stretch limousine for your business dealings at a corporate event or you may need an airport transfer service to any major UK airport from anywhere in the UK. For limo hire in the United Kingdom and for any occasion, contact us today. The UK school prom is a relatively new tradition but is also the busiest time of year for the limousine industry. It is very important you book your school prom limousine early to avoid disappointment. Different parts of the UK will have different prom dates, so once they have been confirmed its time to book your limousine and quickly. 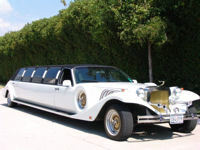 With such an amazing selection of limousines to choose from, the biggest problem will be deciding on which one to pick. There are Hummer limos in a range of different colours including white, black, pink, silver and even gold and plenty of exotic limos as well such as a Porsche Cayenne limo, Range Rover and BMW X5 limousine. If you're looking for something a bit different, there are also themed vehicles such as the red Fire Engine and the Party Bus available in most areas. 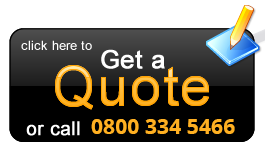 No matter where you are in the UK, we can always get the right vehicle out to you no matter where it's based. If you book your school prom limousine early you may even get a better deal. 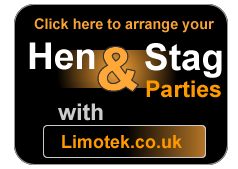 So for cheap limo deals in the UK, contact Limotek today.